Call us today to book an appointment with one of our Master Builders Team to discuss your career and registration goals, and to determine which course is best for you. The building industry is booming, so now is the time to get ahead of the game and start studying! Not sure which course is right for you? Come along to one of our Course Information Sessions to find out how the Diploma compares to the Certificate IV, how the courses can help provide the knowledge you need for registration, course structure/dates/times, learning support available and the enrollment process. The CPC40110 Certificate IV in Building and Construction (Building) and CPC50210 Diploma of Building and Construction (Building) provide you with skills to manage your business and construction projects effectively and cover the knowledge in areas required when seeking domestic builder registration. By completing the CPC40110 Certificate IV in Building and Construction (Building) you will gain the knowledge to interpret OHS and building related legislation. Learn how to select and prepare major domestic construction contracts as well as learning to apply structural principles, the National Construction Codes and Australian Standards to the construction of low rise buildings. As a builder, project manager, site manager or other building practitioners involved with the management of low to medium rise residential and commercial building projects this course will help develop your skills and knowledge to further your pathway towards builder registration. This course is run at East Melbourne. 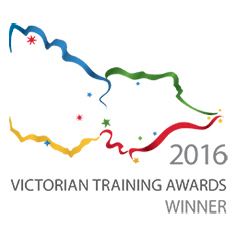 Why Choose Master Builders Association of Victoria as your building training provider? Master Builders Association of Victoria is the expert and our award winning trainers can guide you through whichever qualification you choose.